Sketch-y Friday at Scrapmuch? - T.O. Little Red Wagon # 251 - Confetti. Good morning again.......3 days in a row on here - I think it may be a record! Today, being Friday, happens to mark a fabulous new Sketch and Challenge for you over on the Scrapmuch? blog. Team B is up, which means a layout from me. Pretty simple today, mainly because once I'd put the 'heart' panel on there I didn't like anything else I layered over top. The background is cut with my Silhouette. This is the second page I've done so far using my Simple Stories winning package, so I made good use of lots of stickers. 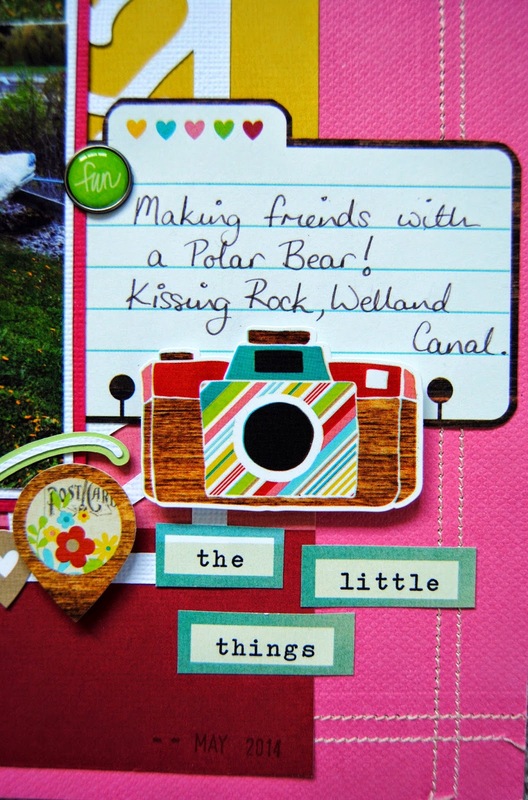 More here too, together with a journalling tag and some wording I cut from a sheet of PP. It's funny how the little memories stick with you. These photo's captured an impromptu moment when my girls made friends with a polar bear statue, at one of the locks along the Welland Canal. We had decided to explore this massive feat of engineering during our mini vacation in May to the Niagara Region, never having been before (even though we've visited Niagara for what feels like a thousand times!). I don't remember much of the workings of the lock explained to us at the Visitors Center, but I do remember the fun my girls had after discovering this guy outside!! 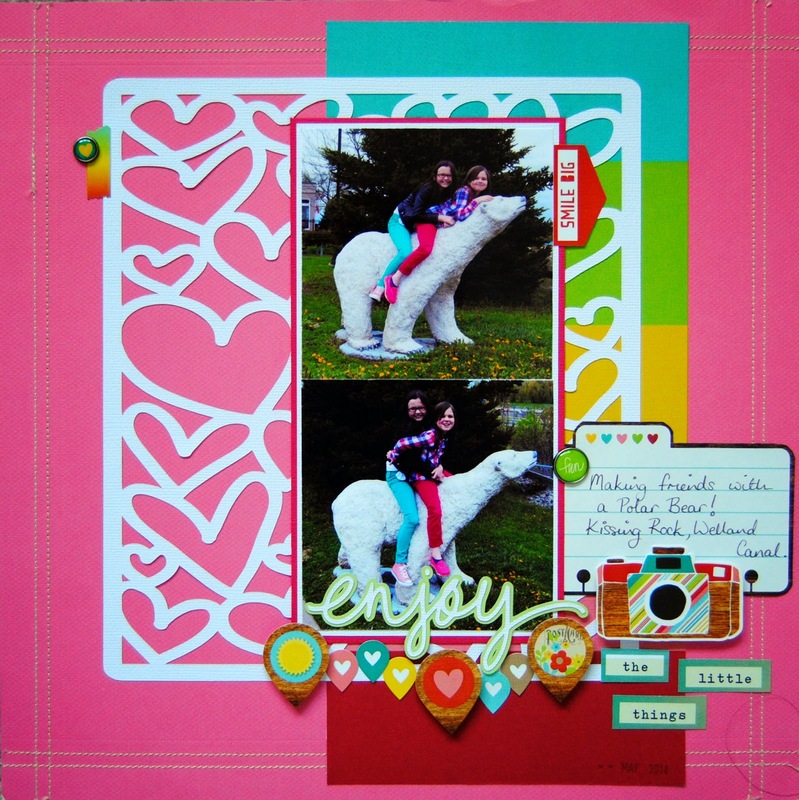 If you feel like a challenge yourself, why not get creating and link up over on the Scrapmuch? blog. There's a prize involved as always. Have a great weekend......we'll be celebrating my youngest daughter's Birthday, so there will be food involved (yum!). LOVE the heart panel! Very striking layout- pretty! A wonderful scrap book page. Sure looks like they had fun. 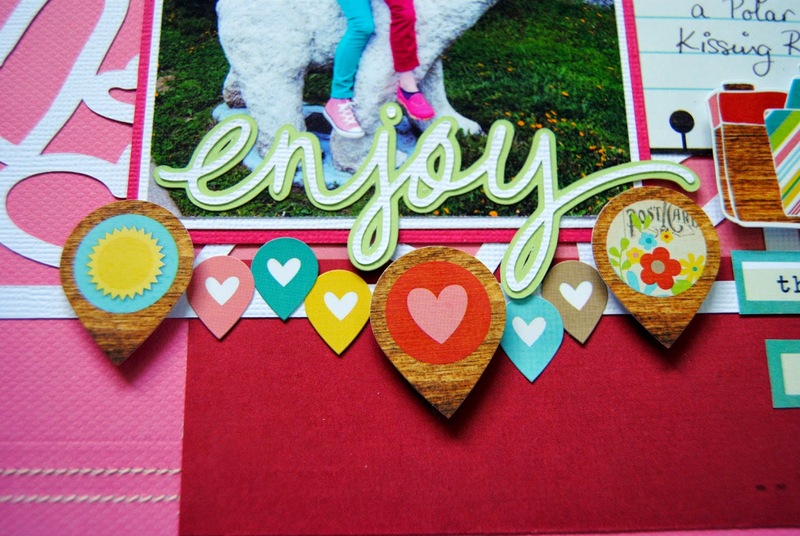 Great page, love the heart die cut! Fabulous page Jayne. 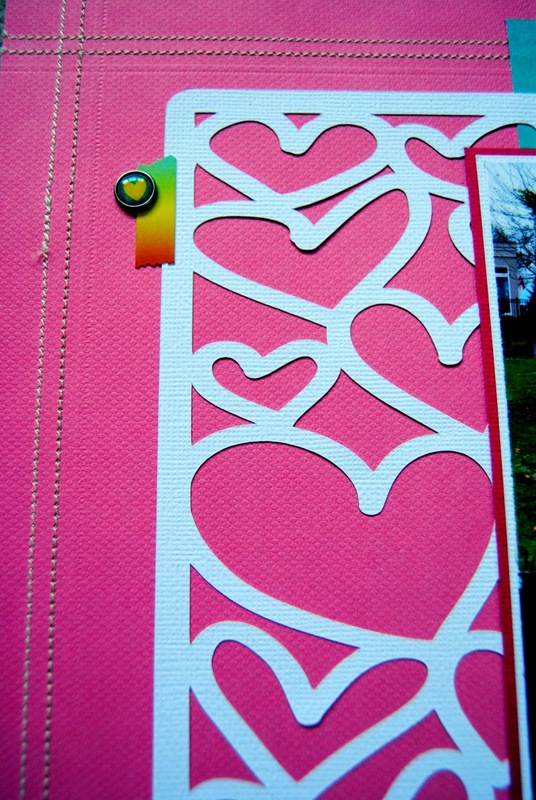 I absolutely love the heart die cut you used. So adorable!! Great bright, fun layout! 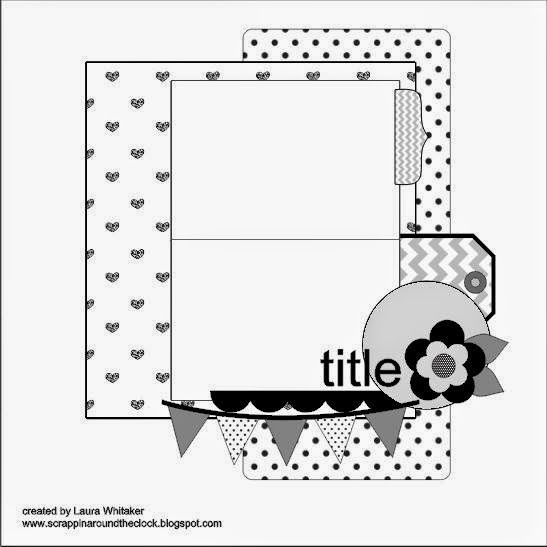 The hearts are a great addition to your layout! Love the photos! So love this layout. The cut file is awesome. The embellies you picked were perfect. Fabulous job!